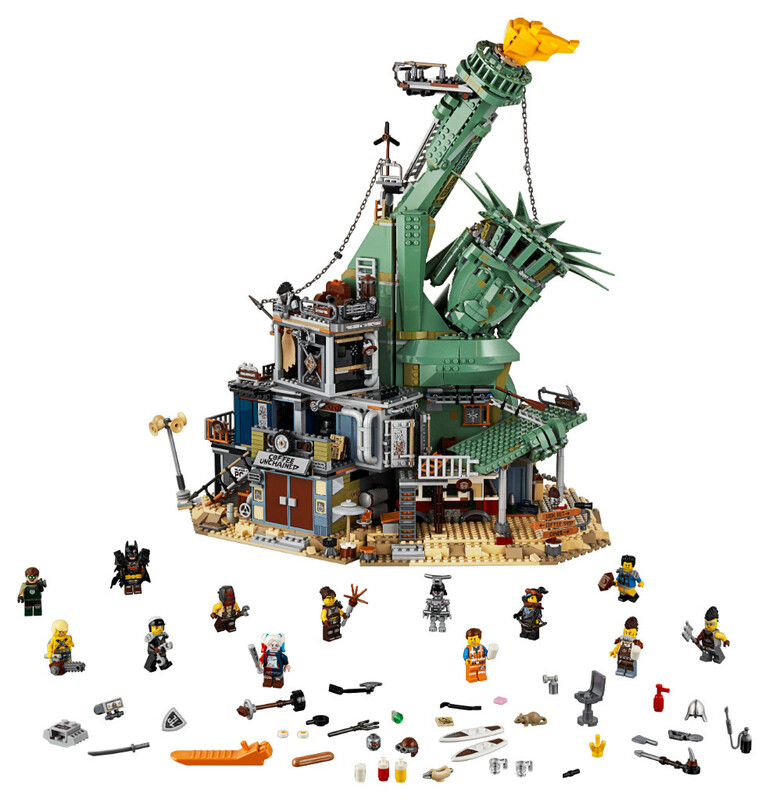 The LEGO Group has released the largest set in The LEGO Movie 2: The Second Part theme, 70840 Welcome to Apocalypseburg!, to everyone. Fans everywhere can now buy The LEGO Movie 2: The Second Part 70840 Welcome to Apocalypseburg!, exclusively at shop.LEGO.com. 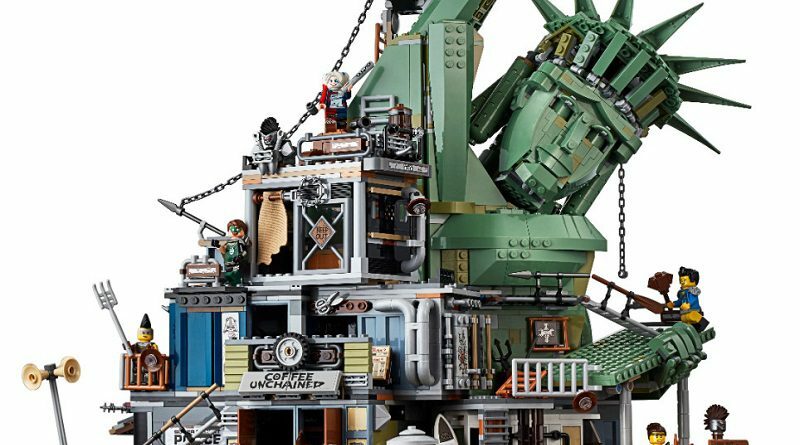 This enormous 3,178 piece set recreates the impressively designed location that the former Bricksburg residents live around, with a great selection of exclusive minfigures to populate it, including Harley Quinn and Green Lantern. Fun details included vary from the remnants of Batman’s Batmobile, a poster for NINJAGO City and Scribble Cop chair kicking function.